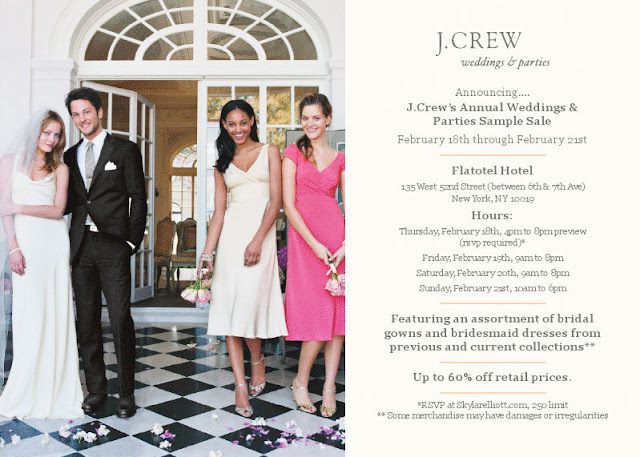 Style & Sensibility: JCrew sample sale! I've always thought that the JCrew bridesmaid dresses were pretty cute and now there's a sample sale coming up in nyc! Make sure you RSVP as soon as possible since space is limited to 250!